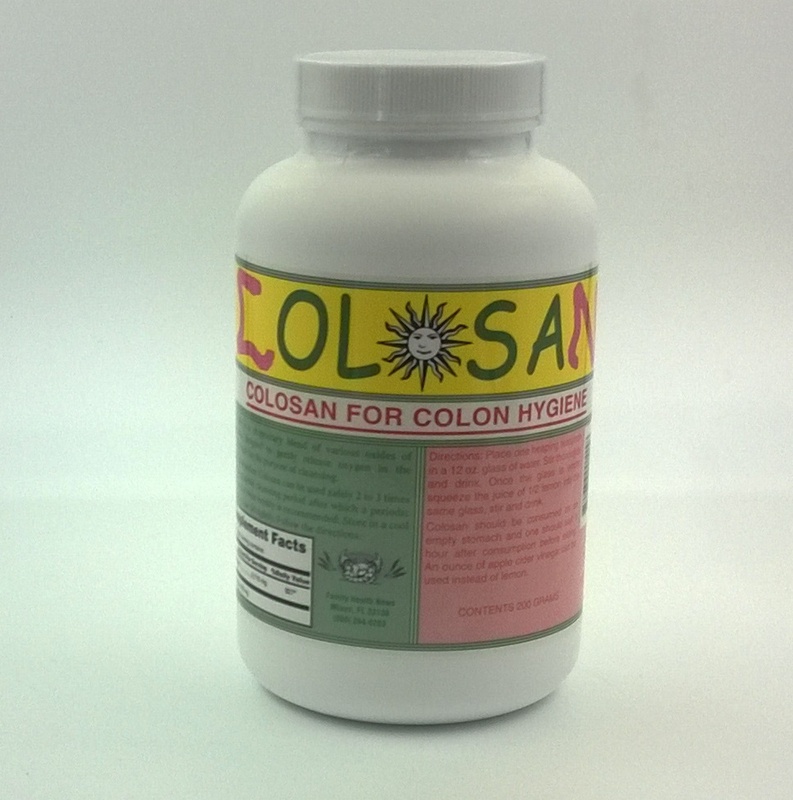 COLOSAN- Our best selling product. This oxygen promoting colon cleanser is the best of the oxygen, ozone, intestinal and colon cleaning products. 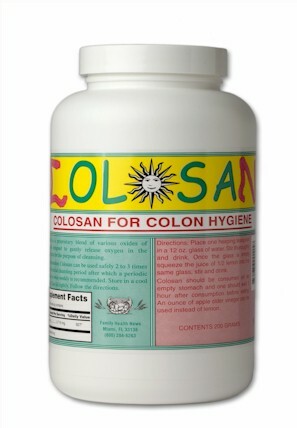 Colosan will gently oxidize and cleanse the intestines and colon using oxygen to remove the putrefaction that is accumulating in your intestines and your colon. Stop reabsorbing toxins and get more nutrients out of your food by oxidizing and eliminating the 6 to 12 pounds of cess in your plumbing. 200 gram jar — a six month supply.